Our patent pending mobile collection and software platform automatically formats data into actionable reporting giving users immediate access to the critical field data they need for fact-based decision making. Manage Multiple Clients From One Portal Unlimited Data & Media Storage Go ahead and take as many photos as you need. No data or media storage limits ever. Survey has 150 questions, no problem. 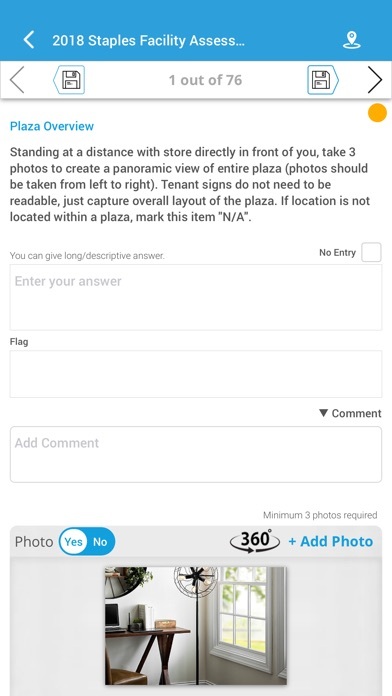 Need to add 300 photos to every survey, no problem. Even better - the photos are always connected to the data points and never separated. There is even an option to add 360 photos...no really there is, just ask! Unlimited Survey Submissions You just thought unlimited data and media was cool, now we are going to up the ante and give you unlimited survey submissions as well. Want to have a survey submitted daily...Go Ahead. Want to have them submitted hourly...ok that might be a bit excessive but hey who are we to put limits on you. 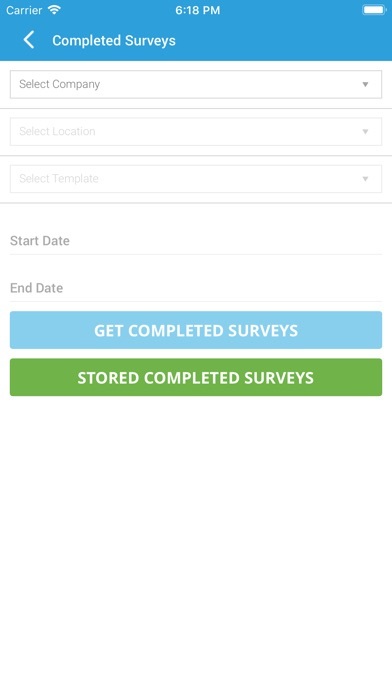 Unlimited Survey/Inspection Templates Ok, you may say we are really taking it overboard here but seriously you get unlimited survey/inspection templates. 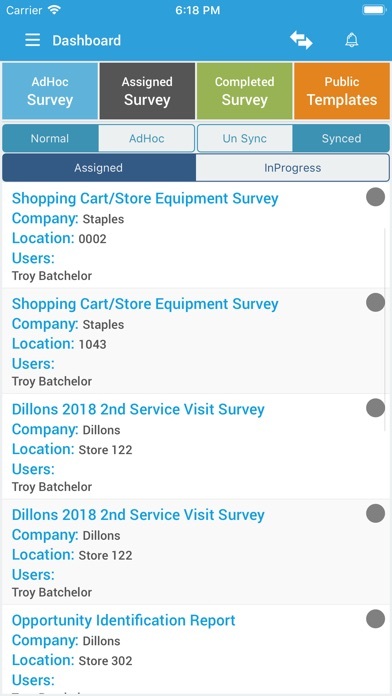 Managing multiple clients or receiving reports from multiple vendors means having a need for any number of survey templates. Go ahead, we got your back. Start surveying/inspecting to your little hearts desire. 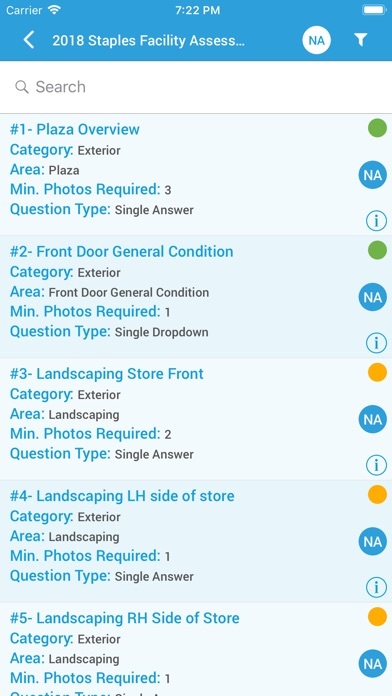 Our Mobile App Allows You To: Work Anywhere With Offline Access Surveying the remote regions of a store location in the middle of nowhere and need to answer questions while standing in the middle of the freezer at the center of the store? No problem, we got you covered. Data/photos sync automatically in the background once you are connected again. 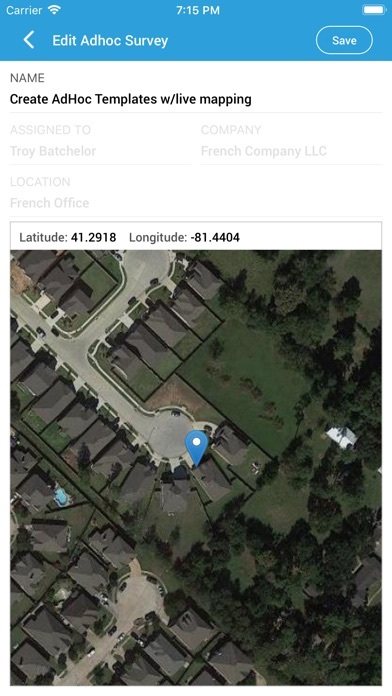 Geotag Photos & Data And Include Map Overlays Using our patent pending technology, the device's GPS location along with in app mapping for greater accuracy you can report exactly where your specific question applies to the site itself. This gives greater context to those reviewing the reporting online. The system will link both flat and 360 images to the mapping component of the survey. 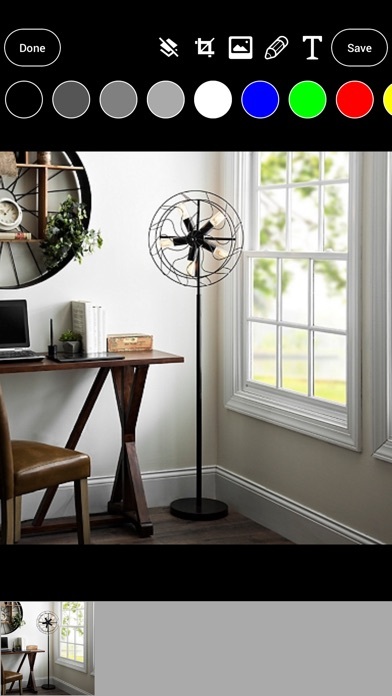 Schedule a demo and let us show you! 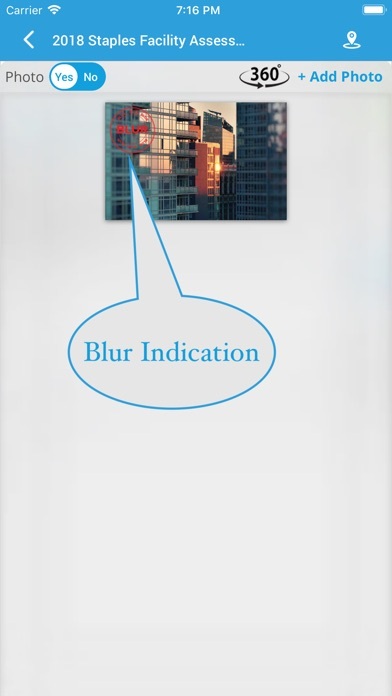 Annotate, Draw and Crop Photos Directly In App Ever wanted to draw on or type an explanation directly on the photo for greater clarity. Well you can stop looking now, you found the PERFECT software tool that will do just that. Taking measurements? Write them directly on the photo. Need to zoom into a specific spot on the photo and then draw or highlight it, BOOM...DONE! Pinpoint Mapping Capability From Mobile & Web Dynamic Map Based Reporting Get a global overview of the surveys/inspections taken with color coded mapping pins to identify problem areas. See photos and data linked to map overviews and map overlays. Provide FREE Access To External Users Yes, you read this right. Provide access to all your clients or even your clients entire office. Information is only useful if it is in the hands of those who can take action on it. Your client's get their own log in to view all survey/inspection results AND print unlimited reports from the system. No Software To Install We will never charge you for future updates to our software. We think this version is the best but we are always looking for ways to make improvements to both the functionality and provide you with the greatest value possible.